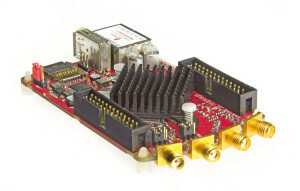 Red Pitaya has become a familiar name in the electronics world. 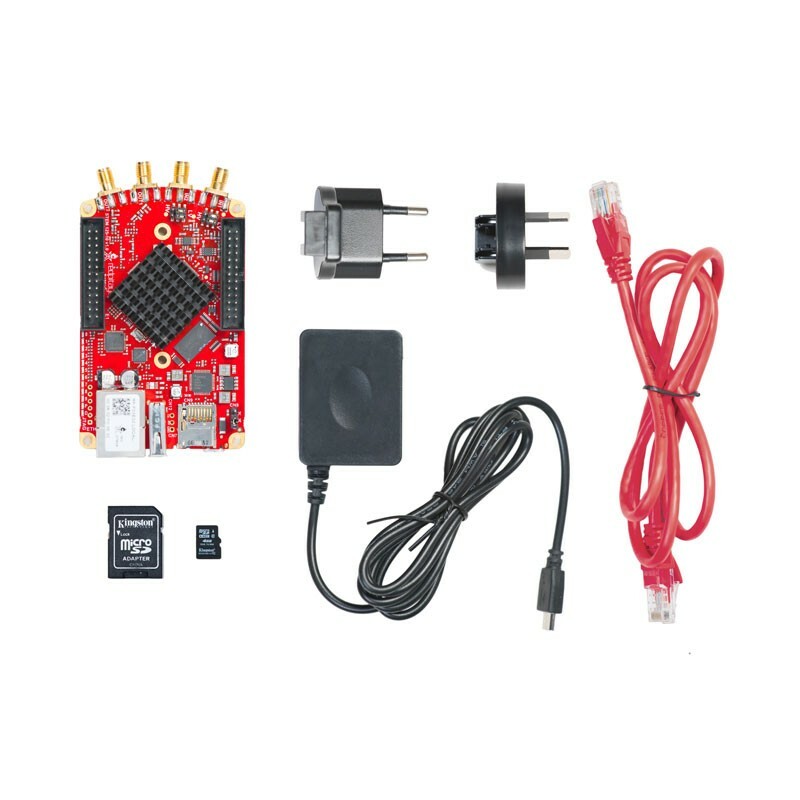 This little red board is a powerful instrumentation platform with a built-in signal generator as well as a versatile FPGA development system, and you can develop your own apps for it. What’s more, for a relatively low price you get an instrument module with 14‑bit A/D and D/A converters and a maximum sampling rate of 125 Msample/s, which is usually reserved for very expensive instruments. If you want to know more about the Red Pitaya, you can have a look at our Red Pitaya intro article. 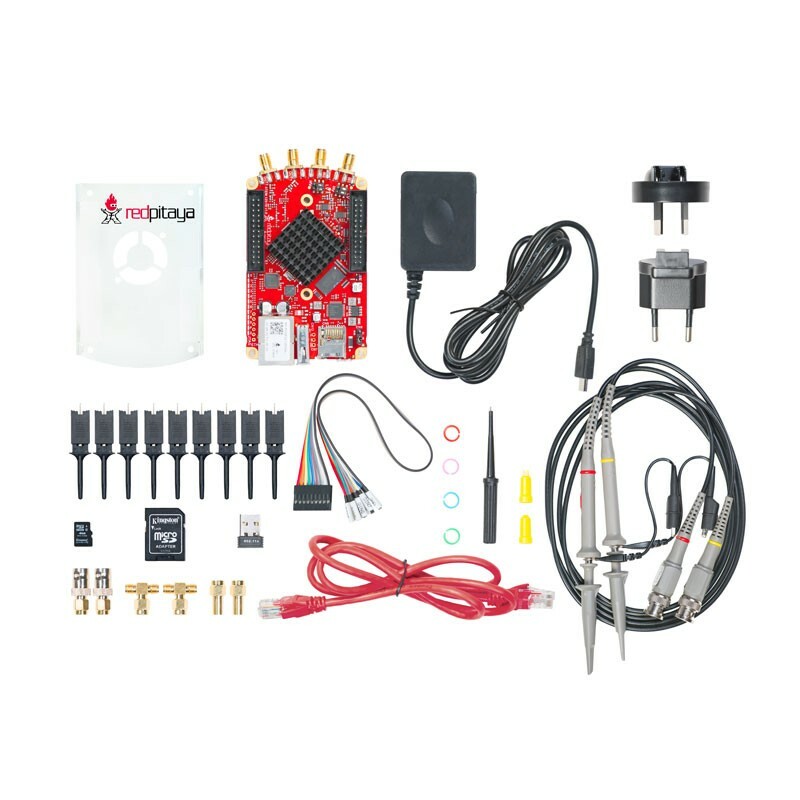 Now the engineers at Red Pitaya have updated and expanded their product line. First of all, the name has been changed to STEMlab (STEM is an acronym of “science, technology, engineering and mathematics” and is often used in the educational sector to designate the scientific and engineering disciplines). As a result, the original Red Pitaya is now called STEMlab 125‑14. It also has a little brother now, named STEMlab 125‑10. They differ in the resolution of the A/D and D/A converters on the board: with the junior version it is 10 bits instead of 14 bits. The STEMlab 125‑10 also has less RAM than the ‑14 version, but for many applications that is not important. I spent some time playing with a prototype of the STEMlab 125‑10, and I hardly noticed that it was a junior version of the Red Pitaya. That’s because both versions work with the same apps and the measured signals look the same. The most obvious physical difference is that the ‑10 version has fewer connectors. Although 10 bits may seem like a lot less than the 14 bits with the top-end version, you should bear in mind that most stand-alone and USB oscilloscopes have 8‑bit converters. From that perspective, 10‑bit resolution gives you four times as much detail. For oscilloscope functions, 10‑bit resolution is enough to produce very detailed signal waveforms on the screen. 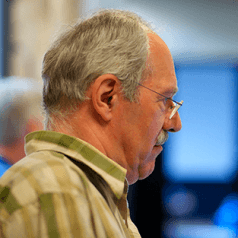 The main target group for 14 bit resolution is people who write their own apps and want to make very precise measurements. A big advantage of the new STEMlab devices is that now you get a matching AC adapter and a pre-programmed microSD card together with the module. That makes it a lot easier to get started than with the original version, where you first had to download a software image file and copy it to an SD card. The most frequently used apps are also include on the memory card: oscilloscope, signal generator, logic analyzer, Bode analyzer (still in the beta stage with my prototype), and LCR meter. That means you don’t have to download them separately. 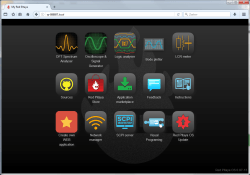 By the way, the apps for the oscilloscope, signal generator and spectrum analyzer are the previous Pro versions, while the other apps have a different layout and user interface.